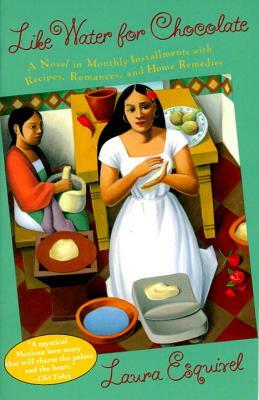 Originally published in 1990, Like Water for Chocolate (Como agua para chocolate) won Laura Esquivel international acclaim. The film based on the book, with a screenplay by Laura Esquivel, swept the Ariel awards of the Mexican Academy of Motion Pictures, winning eleven in all, and went on to become the largest grossing foreign film ever released in the United States. In 1994 Like Water for Chocolate won the prestigious ABBY award, which is given annually by the American Booksellers Association. The book has been translated into thirty languages and there are over three million copies in print worldwide. Ms. Esquivel lives in Mexico.